Kenny Ortega, the director who brought you High School Musical, introduces the first 6 minutes of the Disney Channel Original Movie, Descendants. 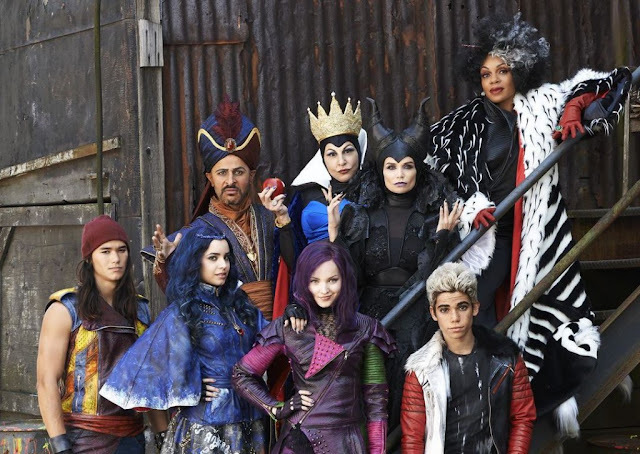 Prince Ben, son of Beast and Belle, declares that he will offer a chance at redemption to Mal, Evie, Carlos and Jay, the teenage sons and daughters of Disney’s most infamous villains -- Maleficent, the Evil Queen, Cruella de Vil and Jafar. But are these villainous descendants rotten to the core? Watch the first 6 minutes now and then tune in to Disney Channel on Friday, July 31 at 8p to find out! Get the inside scoop on everything going on in Auradon right now!